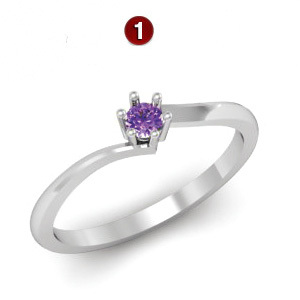 This 14kt white gold Fond Memories mother's ring offers your choice of one 3.0mm round simulated birthstone. Gold content weighs 1.75 grams. Made in USA.